The Instech ABS2™ automates the collection of blood samples from laboratory animals including mice, rats and large animals. By eliminating labor-intensive manual withdrawals it can substantially increase the throughput of pharmacokinetics research groups. It can also reduce the stress on animals caused by handling and venipuncture. 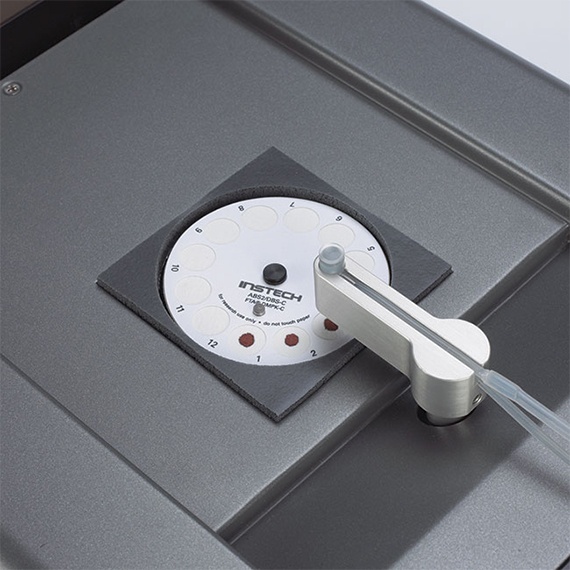 The sampler withdraws blood from a tethered freely-moving animal according to your programmed schedule, stores the samples in an integrated refrigerated fraction collector, and replaces the withdrawn volumes with IV fluid. 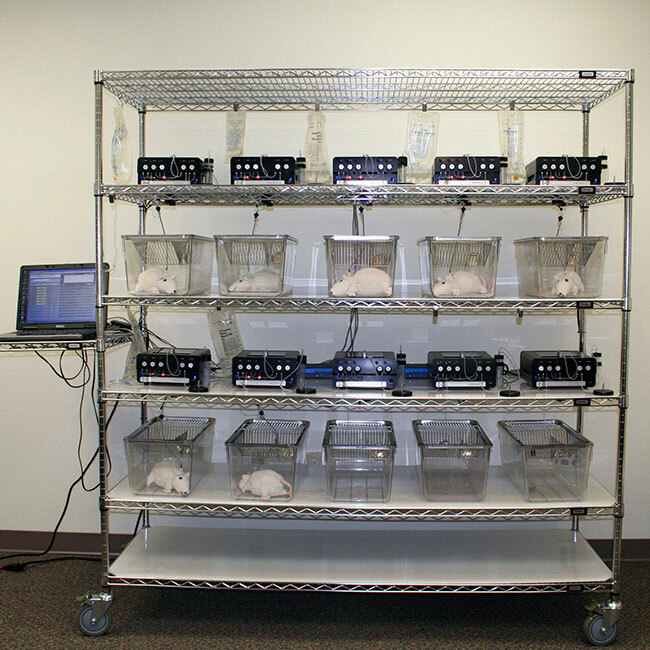 You control and monitor sampling schedules, volumes and withdrawal rates for up to 12 animals from a central computer. 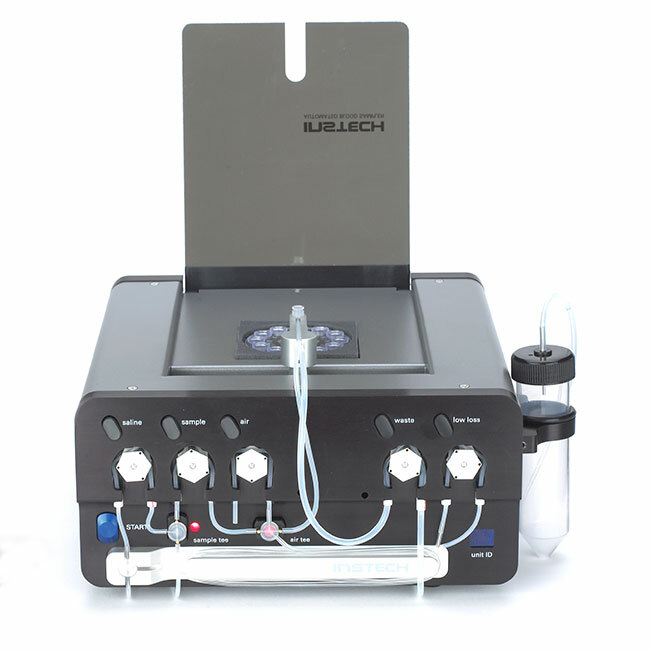 This second-generation autosampler builds on the proven foundation of a series of precision peristaltic pumps to move blood and IV fluids directly to their destinations. 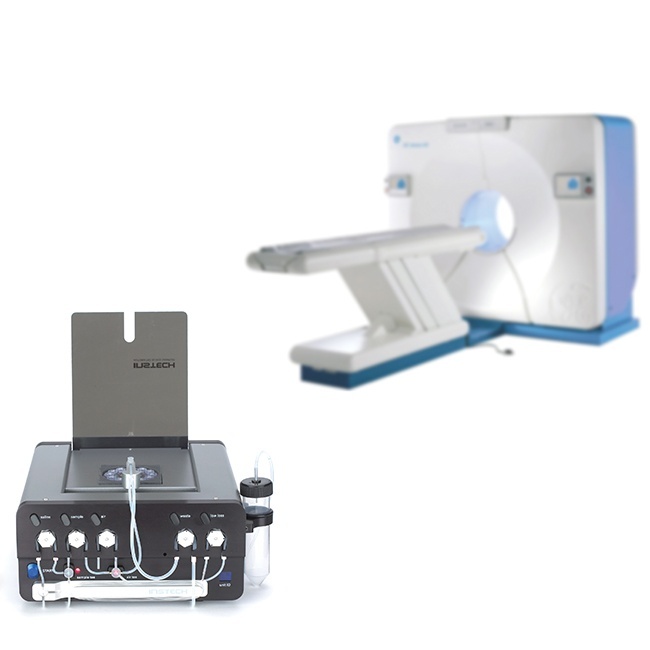 The fraction collector has been redesigned from the ground up for additional features and high reliability. 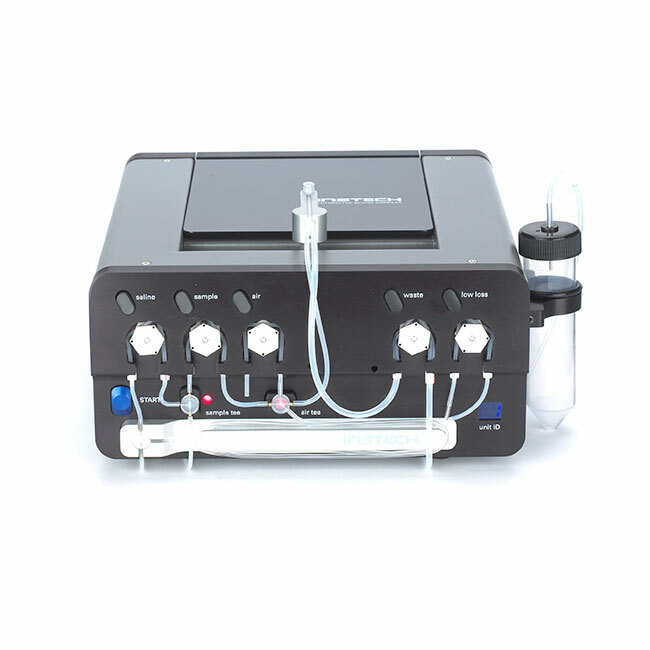 The ABS2 not only works with refrigerated vials (such as Sarstedt Microvette tubes), but also can deposit 10-25µL microsamples directly onto dried blood spot paper. ABS is part of the "Be Nice" family. Are you? A compact rack system for four to twelve automated blood samplers. The ABS2 can collect blood samples directly onto DBS paper. 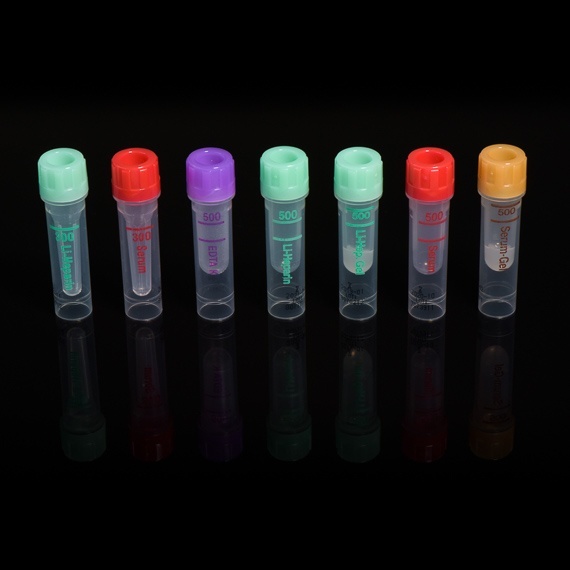 Compatible with the ABS210, choose from the range of Sarstedt collection tubes for the research market. 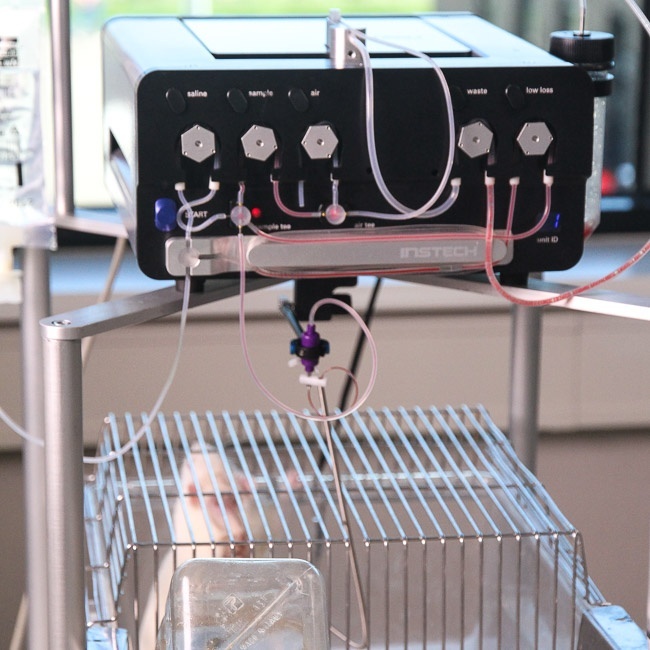 This special version of the ABS withdraws high speed samples from an anesthetized animal in a PET scanner following administration of radio-labeled compounds.